If San Diego could only be known for one thing, it would be its sunny beaches. With 70 miles of coastline and year-round sunshine, there’s no question as to why. 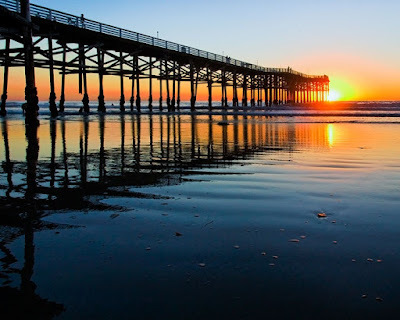 Luckily we’ve rounded-up some of our favorite Pacific Beach hotspots so you don’t have to be left guessing on where to re-fuel after a day on the sand. Start out your perfect beach day with brunch in the heart of Pacific Beach. Duck Dive offers a casual and relaxing dining experience that elegantly combines gastro-pub-inspired cuisine with a rotating list of local and micro brews. Enjoy the Pork Belly Hash made with braised pork belly, house potatoes and sweet potatoes topped with two over-easy eggs and served on a sizzling skillet. As the sun begins to set, step off the beach and into Pacific Beach Shore Club for impeccable sunset views and the freshest ocean breeze. At the intersection of Grand and the sand, unwind with casual conversation and a drink - or two - while watching the waves crash. Indulge in the Raspberry Nelson, a craft cocktail that combines Bombay Sapphire Gin, raspberries, basil, lemon juice, simple syrup and soda. The Fish Shop is home to Pacific Beach’s best selection of fresh fish. Order from their vast menu with thousands of combinations to choose from, from preparation to seasoning to type of protein. 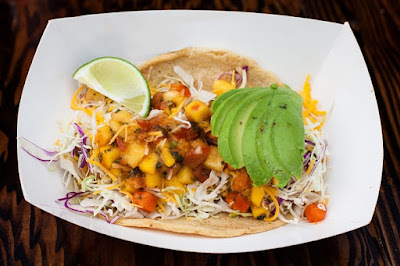 Relax on their outside patio near their large fire pit and indulge in their TKO Taco - a Mahi Mahi taco on a corn tortilla with Fish Shop seasoning served with a tropical salsa. Backyard Kitchen & Tap is not only family-friendly, it’s also dog-friendly! Sit outside on their large outdoor patio that’s one of the biggest at the beachwith rows of cabanas, large screened TVs, an outside bar and a 25-foot fire pit. Be equally impressed by their elevated, American fare and order their Smoked Beef Ribs with roasted potato salad and pickled vegetables. 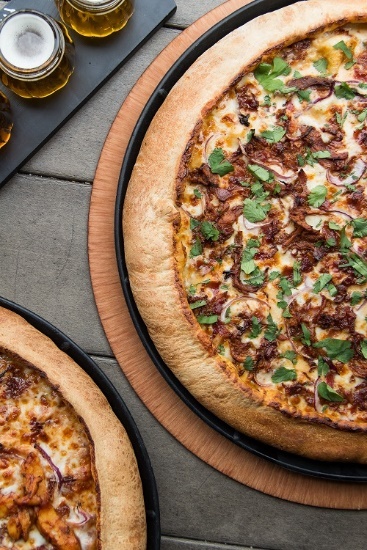 After working up an appetite surfing, swimming and sunbathing on the coast, head to Woodstock’s Pizza in the afternoon. Located on Garnet Avenue, this pizzeria offers the highest quality ingredients, dough made fresh in-house and a unique folded over-crust with sauce inside. Kick you average pizza to the curb with the Kickin’ Carnitas, made with southern chipotle sauce, slow marinated carnitas, crispy bacon, red onions and fresh cilantro. For dinner, start with a scenic ocean-side location and add a comfortable laid-back vibe at Pacific Beach AleHouse. Located at Mission and Grand Avenue, this world class Southern Californian brewery has kept locals and visitors coming back with its micro-brews and macro-tastes. Dig in to the Lobster Mac + Cheese, made with fresh Maine lobster, rigatoni, shaved Parmesan and white cheddar béchamel, while watching the surfers from their rooftop patio. Keep the good times rolling, late night, at Tavern. Located smack in the middle of Pacific Beach’s highly-acclaimed bar scene, Tavern is the ultimate beach spot to watch a game, dance to the beat of the DJ or kick off your own private party. End your day and wind down with the best Happy Hour at the beach: half-off all drinks from 3-8pm, Monday through Friday. You can't forget breakfast! Visit Fig Tree Cafe, a garden-filled restaurant, for some of the best morning fare at the beach. Bring the family (including the pup) and order from their creative A.M. menu before a day of beach festivities. A local favorite, the Monterey Scramble (three eggs, scallions, bacon, Ortega chilis, Monterey cheese, black beans, mexican rice, three corn tortillas and salsa) is sure to have your mouth watering! Whether you’re looking for endless sunshine, impeccably-tasting food or just a good time along the coast, Pacific Beach has all you’ll ever desire for a food- and drink-filled day at the beach.